With extra-ordinarily pleasing top notes and fine selection of fresh, crisp complimenting notes, Nautica makes you ready to conquer the ground like a proficient gentleman. Rejuvenating you with its refreshing airiness, these fragrances exude an unmistakable sensual masculinity keeping you fresh all day long. Explore the entire range of Deodorants/Roll-ons available on Nykaa. 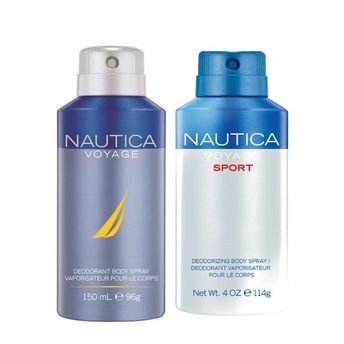 Shop more Nautica products here.You can browse through the complete world of Nautica Deodorants/Roll-ons .